"I've been married so many times, they should revoke my license," says NY model, and reluctant pilot Lalla Bains. Running her dad’s Crop-Dusting business in Modesto, California she’s hoping to dodge the inevitable fortieth birthday party. 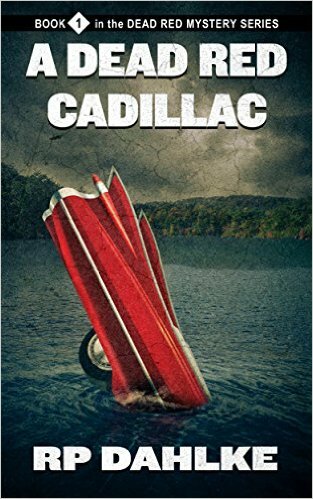 But when her trophy red ‘58 Cadillac is found tail-fins up in a nearby lake, the police ask why a widowed piano teacher, who couldn’t possibly see beyond the hood ornament, was found strapped in the driver’s seat. Reeling from an interrogation with local homicide, Lalla is determined to extricate herself as a suspect in this strange murder case. Unfortunately, drug running pilots, a cross-dressing convict, a crazy Chihuahua, and the dead woman’s hunky nephew throw enough road blocks to keep Lalla neck deep in an investigation that links her family to a twenty-year old murder only she can solve.